A prominent Harlem pastor who was accused by a retired NYPD cop and nine other men of molesting them when they were kids has resigned. The Archdiocese of New York says whether Monsignor Wallace Harris will be formally removed from the priesthood will be decided by the Vatican's internal affairs office. 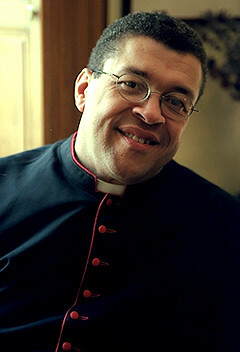 He was the highest-ranking black cleric in the archdiocese and once considered for appointment as a bishop. In 2008, he arranged Pope Benedict XVI's Mass at Yankee Stadium and gave the invocation at Gov. David Paterson's swearing-in. The archdiocese suspended Harris that year. Prosecutors say 10 people lodged complaints against him. Harris had been a pastor at the Church of St. Charles Borromeo since 1989. Efforts to reach him were unsuccessful. Statutes of limitations have precluded any criminal charges being filed.